What would happen if we could look into each others hearts? When learning tolerance who is your best teacher? What does this religious symbol represent to you? How easy is it for you to perceive me the way that you chose to instead of how I am? “Don’t mistake my kindness as weakness, because it is the source of my power. Don’t interpret my tolerance as uncertainty, because it is the essence of my wisdom. Don’t mistake my sensitivity as stupidity, because it is a sign of my strength. Don’t misunderstand my generosity as gullibility, because it symbolizes my grace. How would you treat others if you knew how they feel? If we could look into each others hearts what would we understand? 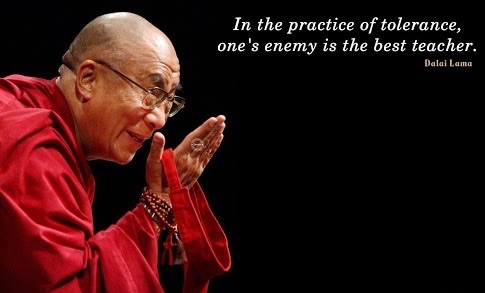 Who is the best teacher in practicing tolerance? What unique challenges do you face?